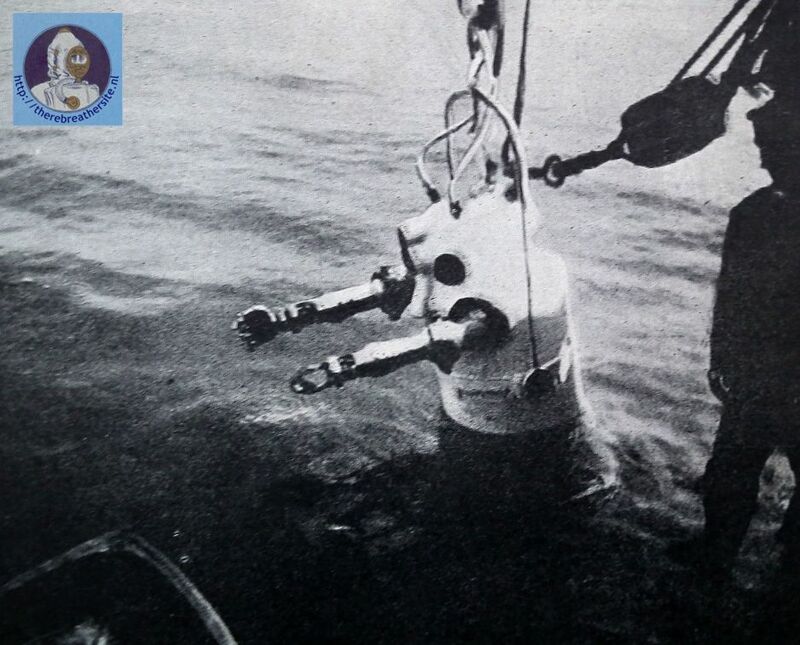 From R.H. Davis deep diving and submarine operations. It is refreshing to turn from such efforts as that of Wichmann and Zopke to the very interesting design produced in 1904 by Giuseppe Restucci, of Naples. 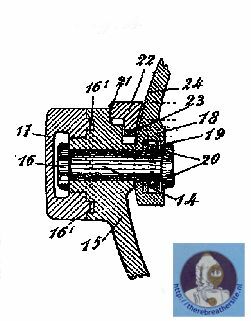 His specification describes two forms of dress, both showing an excellent grasp of the problems involved and providing a solution which is practicable, although somewhat too complicated. Restucci proposed to keep the joints of his suit tight by supplying them with air at a pressure slightly exceeding that of the external water, so that air is always exuding from tem slowly, while no water can enter. Yet the interior of the dress remains at atmospheric pressure; the air-supply to the joints is taken through small pipes from a suitable compressed air service, and not from the suit itself. 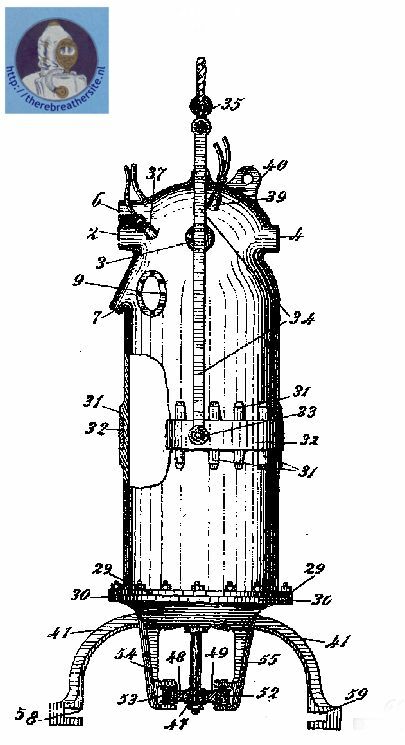 Theoretically, this is a feasible plan, but in practise their would be difficulty alike in adjusting the pressure in the joints, in keeping constant whether the joints were flexing or motionless, and in preventing air-leaks in the service, to say nothing of the fact that the diver would either have to Carry a reserve of compressed air or have two complete twin pipes, one providing air at atmospheric pressure for the suit and the other highly compressed air for the joints. Restucci’s First design shows a complete armoured suit with articulated arms and legs with eight joints in all. 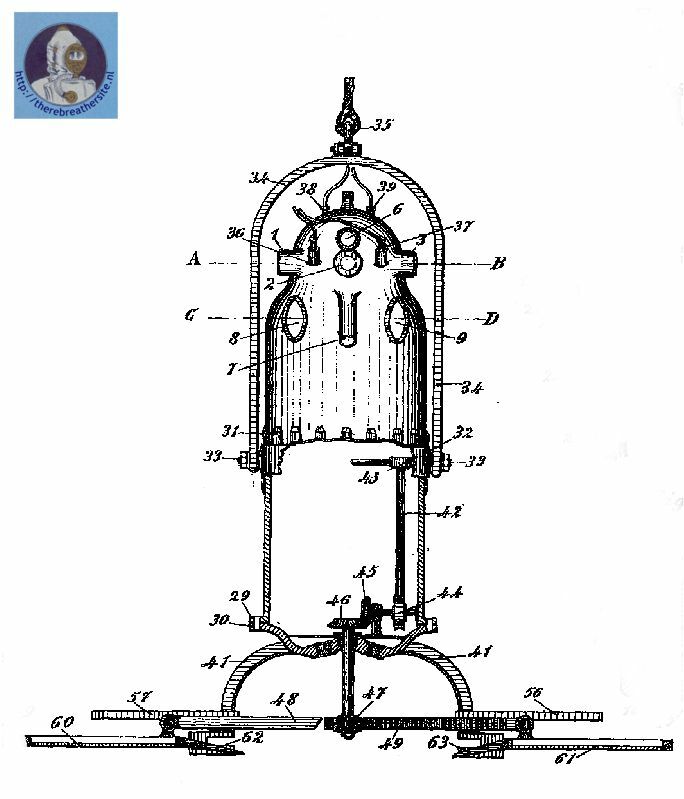 The second design is of a simpler type (1908) with articulated arms only, and no power of self-locomotion. 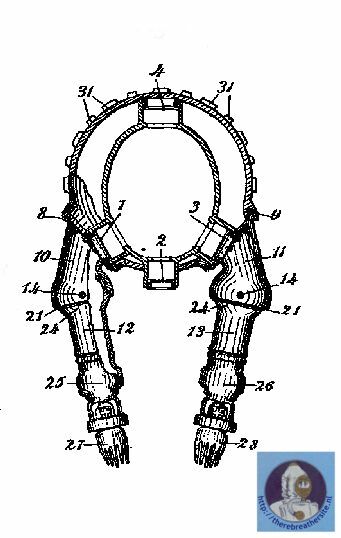 The lower portion is a simple cone enclosing the diver’s legs. The dress is intended to be hung by a cable attached to it at the back, a little above the centre of gravity. At the bottom of the cone is a dilatable bag, somewhat reminiscent of that used by Philips, but much smaller. 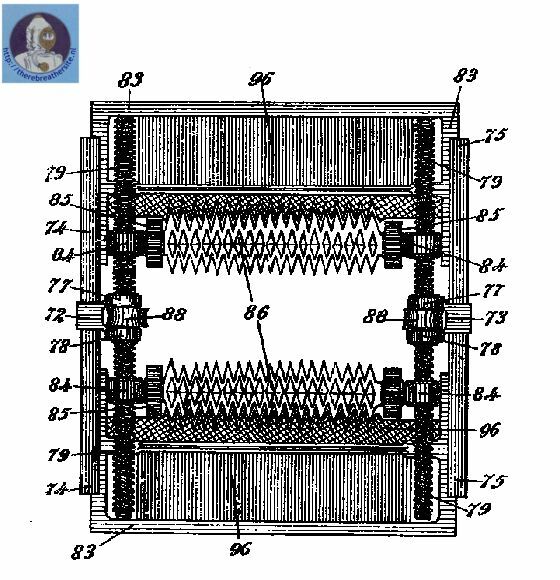 If expanded, this causes the apparatus to tilt from a vertical position towards the horizontal. In this manner the diver retains some slight control over his movements when at the bottom. The expansion of the bag is to be effected by a small pump worked by the diver’s feet. 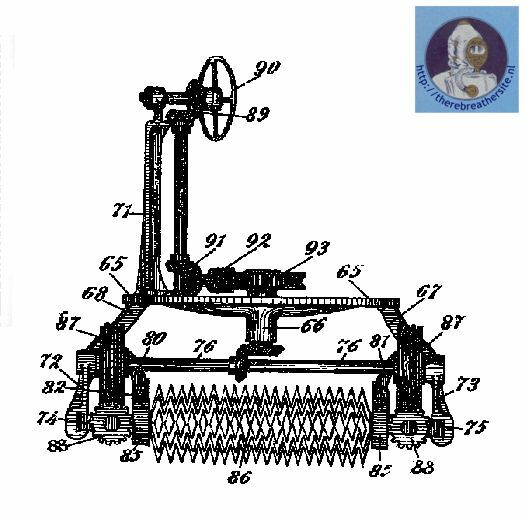 Here you find the second suit of Restucci he patented in 1908 with British patent 19771. Giuseppe Restucci already designed his first suit in 1904. The joints should be made watertight by means of overpressure. 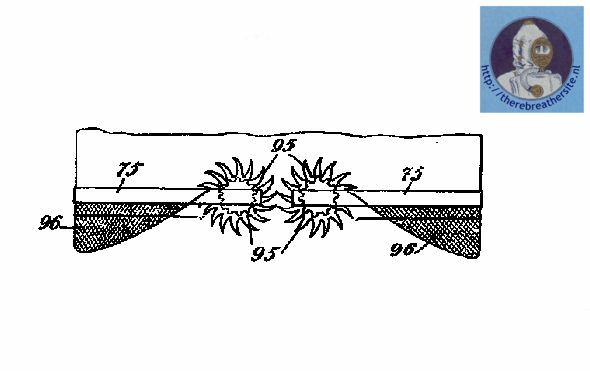 The patent he had in 1908 describes a more simple suit, mainly designed for salvaging small items from the seabed.